A pandemic is an outbreak of an infectious disease that spreads across a large region, a continent, or even the world. According to the World Health Organization (WHO), a pandemic can start when three conditions have been met: the emergence of a disease new to the population, a disease that infects humans, causing serious illness, and one that spreads easily and persists among humans. A disease is not a pandemic because it is widespread or kills a large number of people. It must also be infectious. For example, cancer is responsible for a large number of deaths but is not considered a pandemic. The plague of Justinian in the sixth century that devastated the eastern capital of the Roman Empire in Constantinople was the first well-known pandemic in Europe. It also marks the first detailed record of the bubonic plague that later would be known in London as the Black Death. In Constantinople, while Justinian was the Roman Emperor, large quantities of grain were shipped from Egypt and it is thought that the disease was brought into Europe via rat and flea populations in the grain. The bubonic plague came to be known in London, England, as the Black Death of 1664 because of the black boils in the armpits, neck, and groin of infected people, which were caused by dried blood accumulating under the skin after internal bleeding. People first experienced the bacterium of Black Death as chills, fever, vomiting, and diarrhea. Frequently the disease spread to the lungs and, almost always in these cases, the victims died soon afterward. For reasons unknown at the time some people never caught the disease even though they were in close contact with those who had. In 2005 Dr. Stephen O’Brien of the National Institutes of Health in Washington D.C. searched for descendants of those seventeenth century survivors. He was able to locate a number of them and from those people he took blood samples and recorded their DNA. Dr. O’Brien had been working with HIV patients and to his great surprise he discovered that the critical gene that saved the lives of Black Death survivors was the same gene that today enables people infected with the HIV virus to survive. It is known by the common name Delta 32. In the twenty-first century two well-known experiences of pandemics, one closely related to terrorism and one accidental, illustrate the nature of this problem in contemporary society. The anthrax series of events that hit the United States in the same year as the terrorist attacks of September 11 was clearly an attempt to terrify the leadership of the nation because it was directed at government, media, and communications in general. In mid October, a few weeks after the devastation of 9/11 when the World Trade Center towers were destroyed and the Pentagon hit, letters containing anthrax spores began to arrive at various United States media centers and government offices in Washington, D.C. A photo editor in a Florida news agency was the first to be affected. He opened an envelope that arrived on October 15 and unknowingly inhaled some of the anthrax that fell out. Several days passed before the contents of the envelope were tested and identified. By then it was too late to do anything for the photo editor. He died two weeks later. By the end of October 2001, five people were dead from anthrax. The White House mail was quarantined and several government offices locked in order to check for spores while their staffs met elsewhere. For the first time in its history the Supreme Court convened away from its own chambers. The State Department cut off all mail to its 240 embassies and consulates worldwide. The other pandemic, first known as “The Scars Epidemic,” appeared toward the end of the year 2002. It was a deadly form of pneumonia that appeared in southern China and quietly spread, ignored for a long time, and during that period of time spread within China and to various places around the world. As its deadly nature became clear to public authorities, it was given the name “Severe Acute Respiratory Syndrome (SCARS)” and fears arose that it might be a repeat of the 1918 flu pandemic. When the World Health Organization investigated the disease they found that the majority of cases occurred in food handlers and chefs in the Guangdong Province of Southern China who were engaged in a particular kind of food preparation and delivery. These workers were always in close contact with exotic snakes and birds that were kept alive and killed immediately before being served to customers. Once the nature and characteristics of the disease was defined and isolation of patients became standard practice around the world SCARS slowly disappeared. The present fear of a human pandemic stems from the appearance of a new virus in birds that quickly causes death. As soon as it is observed in flocks of poultry the whole flock is killed. This virus has already mutated so that a few humans have caught it. The mutated strain has been analyzed and found to be without any parallel to previous viruses. That means humans have no immunity to use against it and this is why the few who have contracted it died quickly. In 2005 the United Nations General Assembly called for immediate international mobilization against this new avian flu because of the possibility of a mutation appearing that would spread easily from human to human. The present mutation does not do that. So far, the number of humans that have died from the disease is less than a hundred and they are almost all in Asia. There are fears that this virus might become a pandemic like the one of 1918. That flu pandemic originated from birds just as this one has. Fortunately, to date, it has not yet mutated into the form that the 1918 one took and which led to the deaths of tens of millions of people all over the world. This present virus could be worse than that of 1918 because, while there is much greater knowledge on how to cope with it, there is at the same time far greater and more frequent travel around the world. In 2008, Zimbabwe’s suffering people had a glimmer of hope to lighten the dark decades during which Robert Mugabe and his ruthless ZANU-PF henchmen had bankrupted their once-prosperous country. The Movement for Democratic Change won parliamentary and presidential elections and – though Mugabe rigged the latter and refused to go – opposition leader Morgan Tsvangirai agreed a power-sharing deal that offered some prospect of better times to come. But an insidious legacy of Mugabe’s ruinous regime was about to add a new burden to the impoverished population – cholera. This deadly gastroenteritis is highly infectious, killing around five per cent of Africans who catch the disease, though the death rate is lower elsewhere. In Zimbabwe, the year of hope also saw the start of a major cholera outbreak that August which would become Africa’s worst for 15 years. The cause? 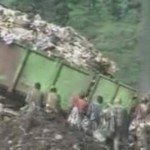 Services like a clean water supply, sanitation and garbage collection had collapsed as a result of the Mugabe regime’s chronic mismanagement. Zimbabwe’s urban population had little choice but to drink any water they could find, though this was almost invariably contaminated by human waste containing cholera bacteria, which thrives in an aqueous environment. As city and town dwellers became widely infected, they spread the disease to rural areas by visiting relatives and repatriating cholera victims to their home villages for burial. The epidemic spread like wildfire in the dying months of 2008, reaching a peak in December when the government belatedly declared a national emergency and appealed for international help. It even spilled over into neighboring countries. For the suffering Zimbabweans, weakened by prolonged under-nourishment and wide incidence of HIV and AIDS, the death rate was terrifying, averaging ten per cent and reaching double that in some areas of the country. The epidemic started a slow decline in 2009, but not before killing thousands. Death toll: Over 4,200 deaths were reported by mid 2009, probably representing a considerable underestimate of the actual figure. You should know: The vituperative anti-British rhetoric that Mugabe’s government used to justify every setback in his beleaguered nation soon came in to play when cholera took hold. Information Minister Sikhanyiso Ndlovu claimed that the epidemic had been caused by a bio-chemical weapon attack that was designed to create a diversion ahead of an imminent British invasion. A parent’s worst nightmare came true for thousands of families in China in 2008 when they found out they had been innocently feeding their babies with contaminated milk powder. Reports of infants falling ill with urinary problems and kidney failure began to emerge in March, but it was six months – and after the Beijing Olympics – before China acknowledged it had a major health crisis and before Sanlu, the country’s biggest producer of powdered milk goods, halted production and recalled stock from retailers’ shelves. By then four babies had died and tens of thousands had been taken ill. The contamination had been deliberate; some 60 people were arrested in connection with the scandal, including the head and three senior executives of Sanlu. Both infant milk formula and liquid milk were found to have been tainted with melamine, a toxic industrial chemical used in the manufacture of plastics and banned from use in food products. At the root of the problem lay the desperately harsh and competitive conditions prevailing in China’s food production industry; at the start of the chain stood small dairy farmers and the temptation, in the face of margins endlessly squeezed, to water down the milk they produced, in some cases by as much as 30 per cent. The diluted product had then been disguised by the addition of melamine which raised the product’s all-important protein levels. Although the Chinese government was quick to offer free medical treatment and some compensation to families affected, it was publicly excoriated for its perceived delay in tackling the crisis. In particular, its food inspection and regulation apparatus was exposed as chaotic and massively deficient. To date 21 people involved in the scandal have been convicted, including two middlemen who were sentenced to death and executed in November 2009. 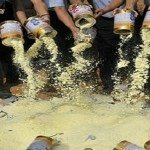 Death toll: At least six babies died from drinking contaminated milk, with an estimated 300,000 thought to have been infected and taken ill.
You should know: The scandal further undermined public confidence in food safety in China, already at a low ebb after a series of earlier incidents involving other consumer products. The multinational company Trafigura did a nifty deal in 2006, buying a large amount of coker gasoline from Mexican oil giant Pemex. This waste by-product of oil refining contains concentrated silica and sulphur, but Trafigura intended to process the waste to extract saleable naphtha. Better still, the company cleverly came up with a scheme to extract the valuable chemical in situ aboard the Panamanian-registered tanker Probo Koala, a vessel chartered to carry the coker gasoline. This involved ‘washing’ it with caustic soda, which separated the naphtha but greatly increased the toxicity of remaining waste. As soon as a Dutch company contracted to dispose of the waste realized how dangerous it had become, the price quoted for the job went up twentyfold. Trafigura wouldn’t pay and Probo Koala set out in search of a contractor who would handle the foul-smelling toxic liquid, conveniently finding a newly formed outfit called Compagnie Tommy in the port city of Abidjan in the Cote d’Ivoire (Ivory Coast) who agreed to process the waste for a tiny fraction of the price demanded in Holland. Unfortunately, Compagnie Tommy’s idea of ‘processing’ was to dump 500 tons of waste in a dozen landfill sites in and around Abidjan. After a few weeks, people started complaining of problems ranging from headaches, nosebleeds and vomiting to severe skin burns and seared lungs. Nearly 100,000 Ivorians sought medical attention, over 30,000 sustained recordable injuries and 17 deaths were directly attributable to acute poisoning caused by the dumped toxic waste. The cumulative effect was a catastrophic medical emergency that brought down the Ivory Coast’s government, though Trafigura denied that there had even been any toxic waste aboard Probo Koala – and was quick to threaten (or take) legal action against anyone who suggested that the company was complicit in the illegal dumping. Death toll: 17 known fatalities (though the real figure may be much greater). You should know: Trafigura may have emphatically denied responsibility for, or knowledge of, the illegal dumping of toxic waste in Cote d’Ivoire – but still came up with £100 million to pay for a clean-up operation. The Ivorian boss of Compagnie Tommy was sentenced to 20 years’ imprisonment for his contribution to this large-scale medical disaster. In March 2006 six healthy men, all under the age of 40, signed up as volunteers in a drug trial that was being conducted at a research unit based at Northwick Park Hospital in northwest London. The drug being tested was TGN1412, an anti-inflammatory drug designed to treat conditions such as leukaemia, rheumatoid arthritis and multiple sclerosis. Manufactured by TeGenero, a German pharmaceutical company, the experimental drug was supposed to work by subtly ‘re-tuning’ the body’s immune system. Following extensive testing in laboratories and on animals, the trial marked the first phase of the three-stage human testing process – the purpose of which was to check for side-effects rather than to see if the drug worked. Within hours of the drug being administered all six volunteers suffered catastrophic organ failure, accompanied by sharp falls in blood pressure, swellings and excruciating pain. Seriously ill, they were admitted to the hospital’s intensive care unit. Here they made a gradual recovery and most were discharged after a few weeks, although one man remained in hospital for four months and had to have fingers and toes amputated after contracting septicemia. The victims’ puffy and bloated appearance, caused by the steroids with which they were treated, led to them being dubbed ‘elephant men’, a phrase that promptly resonated around the world’s media. Parexel, the US-based clinical research organization that was administering the trial, has never admitted any liability or apologized to the victims, who have launched a multi-million pound damages claim against the company. The MHRA, the UK regulatory authority responsible, found no initial evidence of errors or irregularities, but was itself criticized for having approved the trial in the first place and did subsequently conclude that Parexel had given insufficient information to the volunteers and had not followed proper procedures. Death toll: None. However, but for the prompt and effective response of hospital staff all six volunteers would almost certainly have died. You should know: The long-term effects of the trial on the volunteers remain unknown. One man has since had a cancer diagnosis (which may or may not be connected) while another believes that his auto-immune system has been permanently damaged. Ironically, the drug has probably left the six at greater risk of contracting the very diseases it was designed to help cure. Towards the end of 2002 reports began to emerge from China of a virulent and potentially fatal respiratory disease that was proving highly resistant to treatment. The Chinese authorities were slow to alert the world to what quickly became a major health crisis. 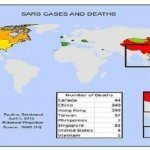 The World Health Organization (WHO), by contrast, fearing a global pandemic, acted swiftly in drawing up and implementing a plan to combat the spread of what became known as SARS (Severe Acute Respiratory Syndrome). The SARS virus had originated in the Guangdong Province in southern China, where a large rural population of peasants lived in close contact with animals. Scientists believe that the animals had been carrying the virus and that at some stage it must have leapt the species barrier to infect humans. Reported symptoms were similar to flu and included a high fever, breathing difficulties, dry cough, muscular aches and loss of appetite. In a remarkable example of international cooperation the WHO organized a worldwide coalition of scientists who worked resolutely to identify the cause of the disease and devise treatment programs. SARS was found to be caused by a previously unknown type of coronavirus, a form of animal virus which infects the upper respiratory tract. Although the virus was spread like the common cold, it was not as contagious as initially feared, and rigorous infection control and preventative measures meant that the vast majority of cases were restricted to the Far East. Nevertheless, international air travel led to smaller outbreaks also occurring in other parts of the world, such as Canada, before the WHO was able to declare in July 2003 that the epidemic had been contained. 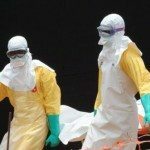 Death toll: According to the WHO, over 8,000 people are known to have been infected with the SARS virus during the outbreak, of which some 750 died. Although this represents less than 10 per cent of infected cases, the mortality rate was much higher among older people. You should know: Although in the end no specific treatment was found to be particularly effective against SARS, scientists were helped in their investigations by the fact that the virus barely mutated from the moment when it emerged.